Following the release of the PIKMIN Short Movies on the Wii U and 3DS eShop, legendary series creator Shigeru Miyamoto has announced via Miiverse that a special PIKMIN themed Art Academy contest will be taking place throughout the month of November. The title of the contest is "Pikmin Spotted! ", and owners of Art Academy: Sketchpad are encouraged to get creative with their pieces in order to wow Mr. Miyamoto, himself. Participants are tasked with envisioning what the Pikmin may be up to if you discovered them in real life, and coming up with unique and interesting situations involving the colourful critters. There is no official word on prizes for the contest, but it seems that chosen entries will be "featured" in some way by Nintendo. The event will end on November 30, 2014, or when the number of comments reaches a thousand (whichever comes first), so if you plan on submitting an entry, don't delay! Is the contest only accepting Wii U sketches or 3DS ones as well? Well, I won't be entering, but I do look forward to seeing the winners. There are some talented wii u owners out there, looking forward to the results! Since my artistic side is severely lacking, I'm going to have to pass on entering the contest. I'll definitely enjoy seeing what other people are capable of though. All the comps so far have had some amazing entries, i wont be entering but im sure whats produced will be awesome. Tempting for sure but I probably won't. I find it difficult to layer colored pencil on sketchpad. They just seem to kind of draw over top of other marks more like paint than actual colored pencils. Still though I might try for some practice. What's taking so long with the Full Art Academy for the Wii U? I remember when a friend borrowed my game, what I did was to go to his house and play the game for an evening there, then take it with me. This made sure he loved the game but I forced him to buy it instead of playing through my copy. As with W101, I hope more people give this game a chance. I am eager to get home today to finish downloading the shorts. @sinalefa I'm going to do just that with a bunch of friends who haven't played it. I'm sure they'll love it too and I hope (I really do) they get interested enough to buy a Wii U. I'll show them some other Ninty games too. But I've got to say, there's something about this game that makes it feel different to others, I mean, it's fun, it's entertaining, etc. but there's something else that makes me love it every time I play it. Some kind of magic. And you'll love the shortfilms, all of them are gorgeous and have the same charm of Pikmin 3. You won't regret those well spent colones! Pikmin is Miamoto's crowning achievement, the pinnacle of his creations. 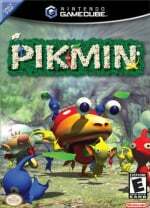 Pikmin 3 made me fall in love with the franchise in a way I've never experienced before with any other game. And the short films will melt your heart, too. Anyone asking for a new franchise from Miamoto, who has not yet played Pikmin 3, is doing a great disservice to themselves. It's sad they limit comments to 1000. If they had Miiverse working the way it should, EVERY submission could actually be received, instead of the 1000 fastest. With a month, I know some artists with Sketchpad that could craft masterpieces not even Nintendo would shy away from using. For me Captain Toad looks similar in that respect. The world looks so full of life, the way the characters interact with each other is almost like they are alive. 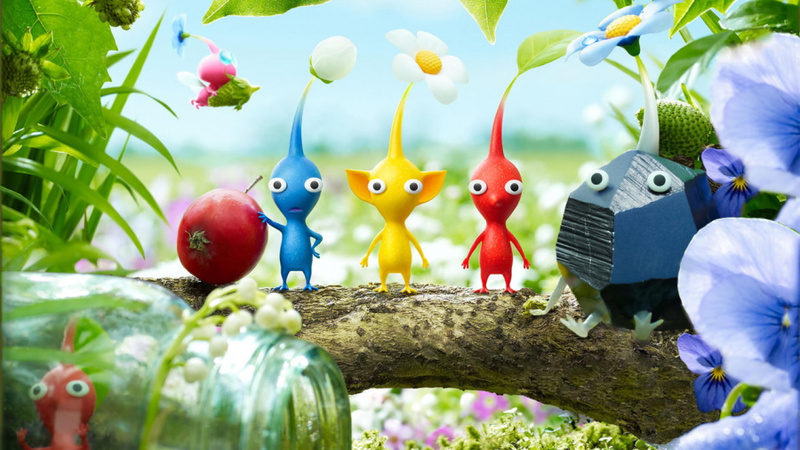 I also love the sense of discovery and wonder (with the world being so big and you so small) and the display of cruelty so common in nature when the Pikmin are eaten or even when they kill other creatures. Glad to hear about my colones being well spent. My bro, as we speak, is actually in México now, taking a vacation to watch the Día de los Muertos celebrations. He has sent tons of lovely pictures. @sinalefa I know, that game looks so alive, so colorful. The other day I was watching some images from the last Skylanders game and I couldn't stop thinking how dull and lifeless it looks in comparison to Captain Toad. And I hope it has the same magic as Pikmin 3. What's with all this about pikmin, now? 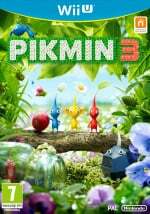 Movies, contest, hmmm... Pikmin 4 incoming? @andrea987 No. 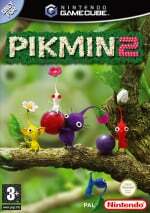 Pikmin 3 with better sales again incoming. I'll have to make another Wii U user, as my personal file is banned (ugh). But yeah, sounds like fun to me! @JaxonH Either styli or styluses is correct, stylii isn't however.